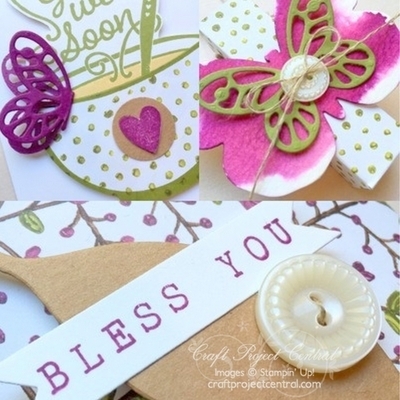 Just Julie B's Stampin' Space: A Get Well Kit! With Fall and Winter coming, you know that the cold season will be in full swing! How about making a little Get Well Kit to make a friend’s illness a tiny bit better to get thru? This kit comes with a tissue holder, a chapstick holder, tea bag holder, a can of soup and a notecard with matching envelope all in a container that you can carry! Guaranteed to cure and put a smile on their faces! This super cute project was made by Cindy Schuster, and you can get her tutorial when you subscribe to the month of October over at Craft Project Central.